Outback Wing Chun South Australia offers true Ip Man family lineage training, we are recognized in the "Wing Chun Ip Chun Genealogy Book". We teach Wing Chun like Ip Man used to teach his students, learning the 9 principles of Wing Chun with the focus on Cultural Exchange through the ART of Wing Chun. 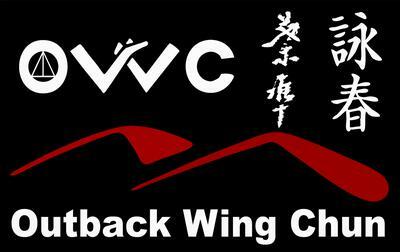 In November 2014 Outback Wing Chun attended the Wing Chun World Titles in Foshan winning Bronze Medal in Traditional Chi Sau for Australia. Since this time O.W.C has focused on Wing Chun being the bond in promoting Cultural Exchange with countries such as China and Russia. In April 2015 OWC was invited to participate in the Martial Arts Olympics held in St Petersburg, again winning Bronze in the Traditional Chi Sau event, more importantly winning respect world wide. The Kwoon in South Australia operated by Sifu James is run in a truly traditional way, where respect is placed in its highest level and students train and grow together as brothers and sisters. A non aggressive environment where meditation and training transcends to a new level. Take the first step to the Internal Art of Wing Chun.